Rose Peach Drift - Tree Top Nursery & Landscape Inc. Drift Rose, Peach: This small shrub grows to only 18 inches tall and 2 to 3 feet wide. Its blooms are soft peach with double petals. 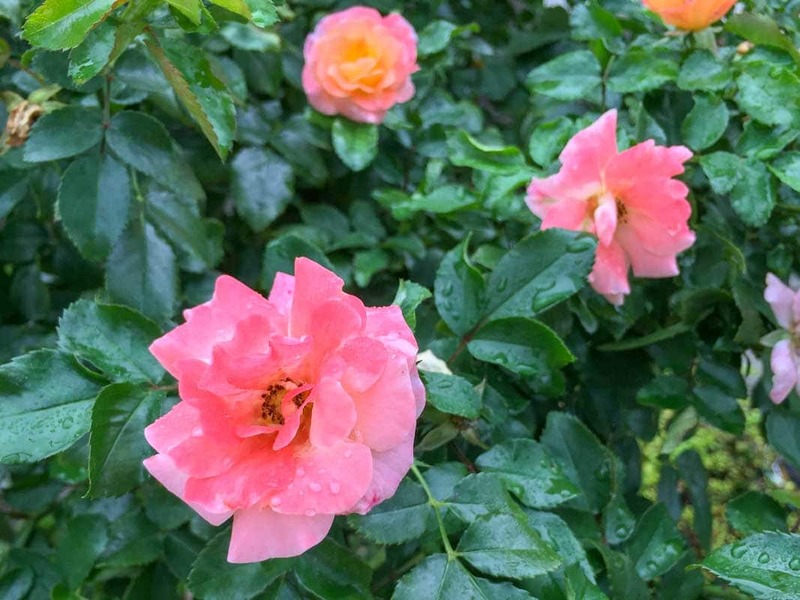 Roses have the longest bloom time of any shrub in Kansas, starting in mid-spring and blooming heavily till frost, especially if old blossoms are removed. Roses come in a variety of sizes and colors and need little care except for some pruning and watering. This shrub blooms best in full sun and will adapt to a wide variety of soils.